Your cheat sheet to what’s been happening in the city this week. 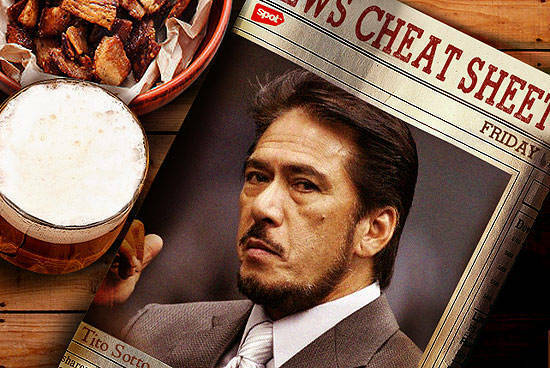 (SPOT.ph) Brush up on bar room topics or date night conversation starters with our cheat sheet to this week’s news. "The supreme court ruled on the Anti-Cybercrime Law!" Fast facts: Much to Senator Tito Sotto’s delight, the Supreme Court ruled on February 18 that the libel clause in the Anti-Cybercrime Law is constitutional. It’s not retroactive, so anything you posted online prior to the ruling is safe. We’re not sure if we can still say "Sottocopy" and so, we will have a brief moment of silence for the memes that will be retired because of this new law. Cynical: "What the hell? The government has no right to stop us from saying what we want!" Conscientious: "As long as they don’t use it to silence their critics, I think this is fine because there are so many bullies on the internet." Kupal: "I’m deleting my blog. Goodbye online world." Fast facts: The construction of Skyway 3 has begun and Metro Manila is bracing for more traffic than usual. To help ease the burden, the Philippine National Railways will launch swanky new coaches for commuters. Where the heck where these coaches and why weren’t they being used before? Cynical: "Two years of traffic? And then they’re going to charge us for using it? Who can afford the toll fee?" Conscientious: "They’re doing it to decongest the road. We just need to bear with it." Kupal: "I can’t tell if the traffic is worse. I don’t think it can get any worse." "Did you hear? They’re naming a U.P. building after Henry Sy." Fast facts: SM Investment Corporation (SMIC) has donated P400 million for the construction of the U.P. Professional Schools in Taguig, and in exchange, he gets naming rights. Hello, Henry Sy Sr. Hall! Cynical: "Hey, they have a new title! SM: Scholars ng Mall!" Conscientious: "It’s nice that U.P. is getting financed but why are private companies funding public schools?" Kupal: "I don’t care. U.P. is so overrated." "Weird. Both Representative Gloria Macapagal Arroyo and ’businesswoman’ Janet Lim Napoles are sick." Fast facts: CGMA’s lawyers are lobbying for her to be able to post bail and be on house arrest, while Napoles is asking to be placed under hospital arrest. Maybe Napoles wants to see her old friend and the former president isn’t interested in a reunion? In any case, Arroyo’s request has been denied and Napoles continues to complain about her drastic weight loss, among other ailments. Cynical: "Drastic weight loss is a symptom of a disease? Poverty has a similar effect on people." Conscientious: "Maybe the chest pain Napoles is experiencing is inner turmoil. Maybe she’s growing a heart." 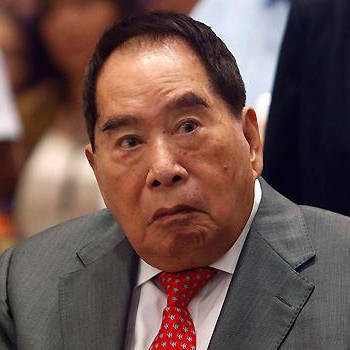 Kupal: "Pagamot sila sa doktor ni Enrile. Magaling ’yun." "What a gimmick that ’Olivia’ thing was." 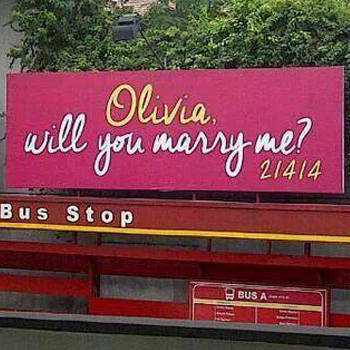 Fast facts: The large, city-wide "proposal" is apparently an advertising campaign for a condominium. Olivias of Manila were devastated. Cynical: "Pretty nice way of saying that love is commercialized. Lame move though." Conscientious: "They did get everyone’s attention. Lame move though." Kupal: "I should’ve used it to propose to my Olivia. That would be a lame move though."